It is an unfortunate fact that many individuals with low incomes, as well as a very large number of retired folks on limited budgets, are locked into expensive cable TV subscriptions. Sadly, ever since the introduction of terrestrial (over-the-air) digital television in the USA in 2009, all the old workhorse VCRs have ended up in scrapyards and there are few options left for watching and recording live local commercial TV OTA (Over The Air) programming without a monthly cable service. However, many people are blissfully unaware that they already have the ability to legally watch and record free over-the-air local channels of commercial TV. Why? because many of these people already own a Windows 7 PC or laptop, and most versions of Microsoft Windows 7 already have the necessary Windows Media Center software integrated into Windows 7's Home Premium, Ulltimate, Professional and Enterprise editions - only Windows 7 Home Basic leaves this feature out. For many people this can be a subscription-free alternative to Cable TV, DVRs and TIVO. If you already own a Windows 7 PC with sufficient hard drive space and are willing to add a PCI-E Tuner card or USB tuner stick, then you can easily enable Window 7's Media Center feature to watch, time-delay and record hundreds of free programs being broadcast over dozens of local and network digital TV broadcast channels and sub-channels that can be accessed by hooking up to a simple indoors or outdoors UHF antenna in most urban areas of the US. But, be aware that when you push the "Upgrade" button to run the automatic "Free Windows 10 Upgrade" that Windows 7 Media Center will be gone from your PC forever! You may have noticed the little Windows icon that has been appearing in the bottom right hand corner of your Windows 7 Taskbar. Before you click on it to take advantage of Microsoft's free offer to upgrade from Windows 7 to Windows 10 you should be aware that all the great features of Windows 7's Media Center have been completely eliminated from the newer versions of the Windows 8 and Windows 10 operating systems. More importantly, it will be completely gone forever once you upgrade to Windows 10! So hold on to, or purchase a new copy of Windows 7 if you wish to take keep this valuable feature. Microsoft has stated that it will continue to support the Widows 7 OS, so it should be widely available for a long time as a flexible, well designed and free alternative to costly cable. I recommend starting out with an uncluttered 32-bit or 64-bit PC or laptop with a version of Microsoft Windows 7 with Media Center software that can be dedicated to Media Center use. Because recording a lot of high definition TV can rapidly gobble up your drive space, so you will need at least 512 Gigabytes of available hard drive space for recording TV programs. For the most satisfying TV watching results you can add a large screen digital TV or monitor with auxiliary VGA, DVI or HDMI inputs. These attach to the corresponding outputs of your PC or laptop. Note that the HDMI connector integrates sound with video, otherwise you will also need additional cables for sound hookup. A basic ISP (Internet Service Provider) in order to permit Media Center to download its free nightly program guide updates. For best results I use a Dual TV Tuner PCI Card and a Windows Compatible Remote Control. These allow me to simultaneously watch one program while recording another free over-the air television channel on my large screen TV from the comfort of my sofa. Still interested? Then why not cut off that cable service? Windows Media Center has a digital video recorder and media player developed by Microsoft that allows users to view and record live television, as well as organize and play music and videos. It was originally included in various versions of Windows XP Media Center Edition, Windows Vista Home Premium and Ultimate, and all editions of Windows 7 except for Starter and Home Basic. In April 2012, Microsoft announced that Media Center would not be included in Windows 8, instead, it will be part of a Media Center Pack add-on available only for Windows 8 Pro, and a Pro Pack that upgrades the standard edition of Windows 8 to Windows 8 Pro with Media Center. 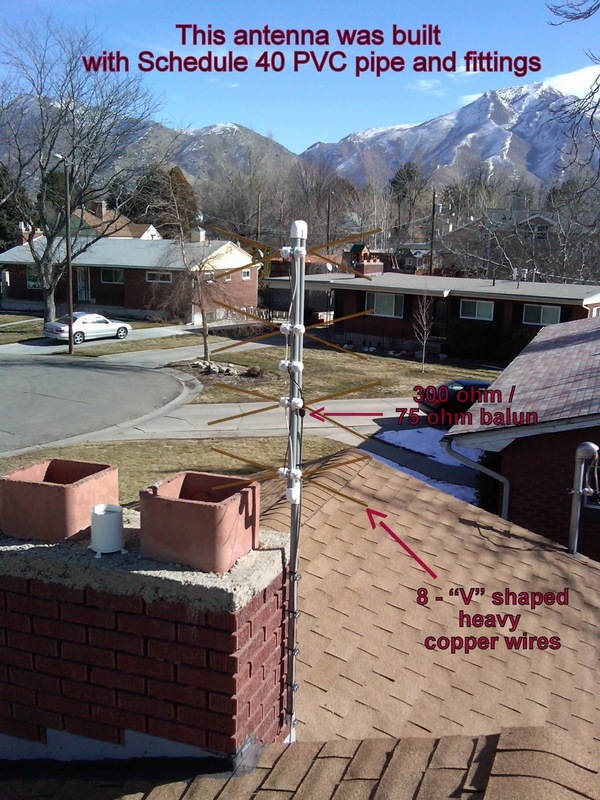 DTV Antenna: Depending on your location, many channels can often be picked up with an ordinary rabbit-ears indoor antenna, or you can build a simple yet effective antenna yourself. This ConsumerReports Blog shows you how. 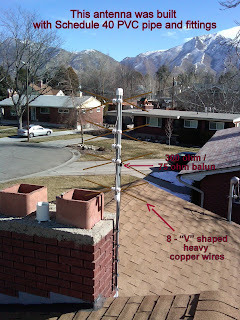 In my case, I reused an existing rooftop mounted UHF antenna from the old analog TV days. I tested it first with an old TV attached to a $49 digital converter box and was able to pick up 39 local digital TV channels. If you would rather buy a new one, I found this antenna at a good price. Depending on reception in your area it can be installed indoors, outdoors or in the attic. Reception: To find out which digital TV broadcast television signals are available in your area, complete with detailed orientation information, use the great online tool at TV Fool. It allows you to "compute the expected signal strength for every channel "in the air" at your location, including adjustments for transmitter power, terrain obstructions, curvature of the Earth, and other factors that affect signal availability". VCR Replacement: I didn't want to pay a subscription for a DVR or a TIVO box. By using Media Center's Guide and Record TV features, I now have a replacement for my old VCR and can record all my favorite shows using the built-in two-week TV guide which updates daily automatically over the internet . 720P / 1080i TV or Monitor: I already owned a two-year old flat panel Philips TV that had several external inputs that I could hook up to my PC's graphics output. Newer TVs can support VGA, DVI and HDMI digital connectors. Recently introduced TVs also incorporate Intel's WiDi (Wireless Display) technology. I have found a goldmine of streaming video programs available over the internet. An excellent media player software for watching free streaming TV shows and videos is the open source XBMC program that can run on Windows and OSX platforms; you can download it from here. iTunes, Boxee, Hulu, and Kylo are some of the other programs that allow you to organize and view hundreds of TV programs and podcasts, all on demand. You can also add a relatively low-cost monthly Netflix or Amazon Prime account for watching a large collection of movies online as well as on DVDs. Many people already have a broadband cable or DSL service which just sits there unused when not browsing the web or doing email, so why not put it to use? Watch 1000's of free downloadable iTunes podcasts of favorite TV shows. To set up iTunes on your Media Center read this post. Listen to the millions of tracks of free streaming music available via Pandora and Spotify. JPEG Photos: Categorize, store and play back all your digital photos. Scan, save and preserve all your valuable old 35mm photos and slides into a centralized album. For the more technically inclined - build your own HTPC Media Center! "HTPC" stands for Home Theater PC. 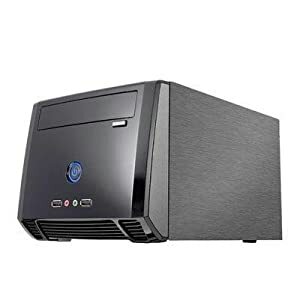 It is basically a dedicated PC that you build or buy consisting of the necessary Media Center software, an HDMI or DVI graphics output connector and a one Terrabyte or larger large hard drive. 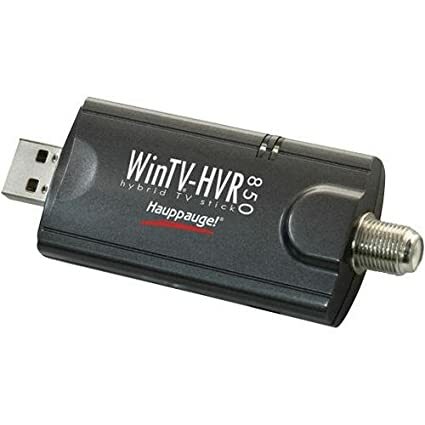 Attach this to your flat-screen TV set or monitor and you now have the essential requirements for a dedicated entertainment / media center "hub". A compact full-featured Home Theater PC Media Center can be assembled with standard components purchased online from Newegg and Amazon. Do It Yourself? I enjoy the challenge of a rewarding DIY project and like to save money as well. I have built several Media Center HTPCs before for myself, family and friends. This time around, I decided to build one and describe the steps in this blog as I go along. Those of you who are hesitant to build one yourself, or just want to know more about the subject are welcome to follow along. Of course, the following notes and suggestions are based on my own experiences, so I am not responsible for any problems or consequences resulting from your use of this information! How to start, what do I need and what will it cost? The following is a list of the parts I ordered from various online stores. At time of purchase, the total cost of all parts (not including the Windows 7 Home Premium O.S.) came to just over $500. Your own costs will probably end up being different based on availability and the parts you select. This build is based upon my own research but there are many possible variations. Let me know about your own experiences! The Operating System: I have built several HTPC Media Center boxes, all based on Windows 7 Home Premium. The Media Center software installs automatically when you first install the Windows OS. Most people can find a "System Builders" copy under $100. Update: According to this link, the new Windows 8 does not include Media Center as part of the basic package, however it is available as a post-install optional piece of software. Which version of Windows 7, 64-bit or 32-bit? 32-bit processors are limited to 4 GB of memory, and typically can't use the full amount. The newer Intel 64-bit processors are theoretically capable of referencing 2^64 locations in memory, or 16 exabytes, however, all 64-bit versions of Microsoft operating systems currently impose a 16 TB limit on address space and allow no more than 128 GB of physical memory. I have installed the 64-bit version of Windows 7 in my recent Media Center HTPCs builds and I have noticed better performance. If you have at least 4GB of SDRAM, or are looking at the larger 8GB versions, then be aware that 64-bit Windows 7 is designed to make use of all that RAM efficiently. Make sure first that all your hardware (i.e., tuner or graphics cards) have the necessary 64-bit compatible drivers available. "The 10' Viewing Experience" using a Remote Control: Since the whole idea of a Media Center is to be able to sit at a comfortable viewing distance, you will need a suitable remote and a USB infrared receiver. I bought a Microsoft XBox 360 Universal Remote Control that can be integrated nicely with Media Center. It has ergonomic lighted buttons, fits nicely into my hand and is cheap. I also found an RC6 InfraRed USB Receiver on eBay. Some registry tweaks are required for this remote to work with Windows Media Center. Follow this link for the setup procedure. The following website: http://wiki.xbmc.org/index.php?title=Remote_Control_Reviews also has gobs of useful information about other Media Center compatible remotes. Wake-up from "S3 Sleep Mode": The Remote Control's ON/OFF button will cause the system to go in and out of low-power sleep mode. This mode is an important requirement for Media Center, since it allows automatic Record and Guide Downloads to occur at pre-determined times and the system goes back to sleep when done. In case of a power outage, or if the box is unplugged, the sytem requires a "power on startup". In other words, the remote control cannot be used to bring it back up and you have to use the power button. I also keep a mouse and keyboard handy for initial setup and occasional debugging. I wanted the smallest case that could comfortably house a mini-itx motherboard with adequate room to mount the stock Intel heatsink and could fit easily on a bookshelf. 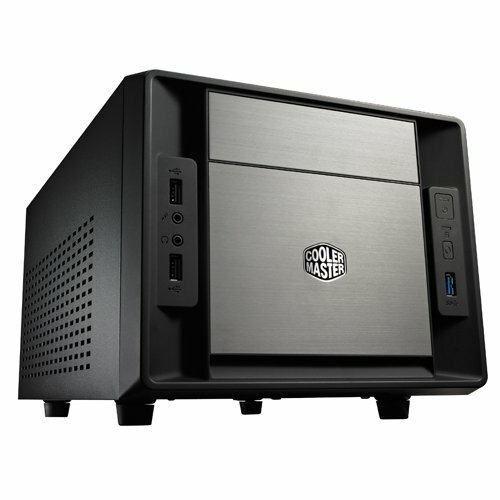 For several HTPC builds I selected the compact and sturdy Athena Mini-ITX Case from Amazon measuring 10.28" x 7.87" x 6.54". It includes a 150W power supply and a quiet 80mm fan. Refer to this link for a detailed step-by-step assembly video. The Apex MI-008 is another inexpensive mini-itx case that I have used for several recent builds. It measures 15.2 x 11 x 7 inches, and includes a 250W power supply. There is no built-in chassis fan, instead the power supply's fan serves to exhaust air out of the case. Since it sits right on top of the CPU there is barely enough clearance between the Clarkdale CPU's stock fan and the power supply, but the Sandy Bridge CPU/stock fan fits underneath with virtually zero clearance. With the Apex case I found it impossible to mount the hard drive in the lower bay beneath the DVD drive, so I opted to mount it vertically along the right hand side with the black plastic rail provided. Mounting the DVD drive requires removal of the black front panel and I had some difficulty mating the drive's eject button with the recessed button, I had to shave down some protruding plastic in order to get the drive close enough to the front. The CoolerMaster Elite 120 Advanced is my favorite case for a general-purpose mini-IX build, and I ended up using it for my current desktop office computer. I paired it with a Gigabyte 1155 H77N Mini-ITX motherboard and an Ivy Bridge Intel Core i5-3330 Quad-Core Processor for a powerful expandable system. I also included a 128GB Solid State Drive and 8GB of DDR3 RAM. This excellent high quality case is large enough to fit all necessary components nicely, without any of the hassles of the other low-cost mini-itx boxes I have used. Note that the case comes without a power supply, so you will need to purchase a separate ATX power supply for it. Mini-itx motherboards have a small 6.7" x 6.7" form-factor and are well suited for low-power, compact HTPC and desktop computer builds. Built-in HD Graphics: You won't need an additional graphics card with the Ivy Bridge, Clarkdale or Sandy Bridge compatible motherboards that feature direct video CPU outputs. The usual on-board graphics chipsets have been left off since they make use of the integrated graphics cores built into Ivy Bridge, Sandy Bridge or Clarkdale CPUs. Only the necessary interface from the CPU's graphic chip to the 3 rear-panel HDMI, DVI and VGA video connectors is included. As described above, my most recent build uses the Gigabyte 1155 H77N Mini-ITX motherboard with an Ivy Bridge Intel Core i5-3330 Quad-Core Processor. 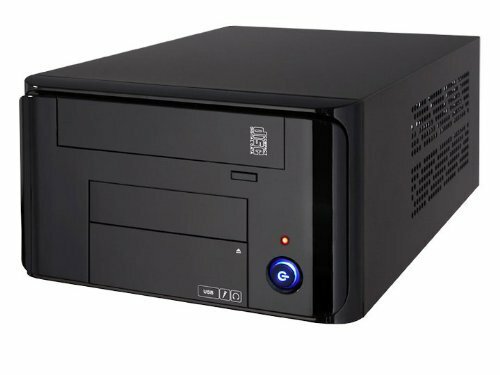 These two elements combine to make a compact low-power yet powerful multi-purpose desktop and HTPC system. The Gigabyte H77 motherboard has dual hdmi ports, and also incorporates the mini PCIe Intel Centrino Wireless-N 2230 card which offers both 802/11 b/g/n and Bluetooth 4.0 support. With this module, Gigabyte also provides the necessary drivers to enable Intel compatible Wi-Fi/WiDi (Wireless Display) - a really neat feature! I have also used the Socket 1155 Sandy Bridge Intel Core i3-2100 3.1GHz CPU featuring Intel® HD Graphics 2000/3000, DX10.1, Pixel Shader 4.1 and Blu-ray Stereoscopic 3D with HDMI 1.4 with the Biostar TH61, ASRock H67M-ITX and Gigabyte GA-H67N-USB3 mini-ITX motherboards - all have built-in HD graphics outputs. Intel's Wireless Display (WiDi) allows you to wirelessly connect your HTPC to a compatible TV - no more awkward wiring via HDMI cables! New TVs are shipping with WiDi support, but for most other TVs you will need a WiDi adapter, such as the Belkin ScreenCast, NetGear Push2TV, or the D-Link Mainstage. Gigabyte's H77 / Z77 series motherboards include a half-size PCI-E module that supports Intel's Wireless Display. You must install Windows 7 to allow this feature and you should download the latest version of the Intel WiDi Widget. Note that you must pair Intel LGA 1155 socket compatible motherboards with the Ivy Bridge and Sandy Bridge CPUs! My older builds were with the Gigabyte GA-H55N-USB3 paired with a lower cost Intel Core i3-550 Clarkdale CPU LGA 1156 socket compatible motherboard. Hard Drive: Recorded TV and photos gobble up storage space rapidly, so I decided to get the largest hard drive I could afford. I selected this Seagate Barracuda 2TB 5900 RPM drive. Solid State Drive (SSD): I included an OCZ Agility 3 AGT3-25SAT3-120GB SSD in my latest build. This unit really speeds up access and boot times and allows for noiseless operation - all I can hear is the cooling fan. I used the SSD as the primary drive only for the Windows 7 OS installation. All the other media, including the Media Center recorded TV, is redirected to the 2TB hard drive. DVD / CD Burner: I am using a Liteon CD/DVD Blu-Ray Drive. there are blu-ray licensing issues with Windows 7 Media Center, but the latest version of PowerDVD does provides an interface from within Media Center to PowerDVD. TV Tuner Card: In my case, this was the most critical requirement for watching and recording "cable-free" ATSC TV programming. I wanted a dual tuner card that could allow me to record two programs simultaneously, or record one program while watching a second. I selected this Avertv MTVHDDUWB HD Duet PCI-E card. It plugs into the single available PCI-E slot on the Gigabyte motherboard. Windows 7 64 bit Vs 32 bit - which is best? A solution to my "Random Wake from Sleep" problem! For those of you who have never built anything like this before and could use further help and/or clarification, email me, or post your question in the comment box below. Tell us about your own Do-it-yourself Media Center Set-up Experiences - or get answers to your questions! Building your own Media Center is almost always a learning experience. Let others know about some of the things you may have learned or provide us with hints that may be helpful to those attempting a build for the first time. Leave your comments and/or questions by clicking here: Comments. Thanks! The next post describes the HTPC Media Center assembly process.